It’s that time of year again when the weather turns colder, the central heating goes on, and windows tend to be closed, creating a breeding ground for winter colds and viruses. There are simple ways of combating the prevalent cold virus, and this is more in prevention rather than cure. 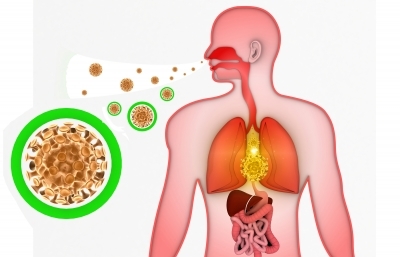 Our immune system needs regular boosting so that it is ready to fight any invaders. Do this by eating lots of fresh fruit and vegetables, preferably organic. Fruit and vegetables are full of antioxidants, which fight those free radicals which are released within the body to attack. A regular vitamin C supplement can also help boost the immune system, optimising it for attack. Have you ever drunk a glass of organic juice and noticed its acidic effect on the digestive system? This is caused by the ascorbic acid. The vitamin C supplement I use contains Calcium Ascorbate instead, which is slow release, non-acidic form of vitamin C.
Stress will also damage our immune system, prioritising our adrenalin and sympathetic nervous system, and thus neglecting those systems that are not needed for immediate survival such as immune and digestion. A regular session of reflexology can help reduce stress and evoke relaxation. Patrick Holford’s advice re. vitamin C absorption is to take around 2 grams every 4 hours. This will saturate the tissues with vitamin C and thus flushing out the cold virus, maintaining a high level of immune protection. This will completely blow the Recommended Daily Allowance (RDA) out of the water, however vitamin C is water soluble and thus the body cannot store excess amounts in fat – it simply excretes via the kidneys. The RDA was written years ago based on the nutritional value of our foods after the war – nowadays our foods are nutritionally poorer due to the depleting quality of our soil. This is why I advocate an organic based diet and lifestyle. If we don’t adopt this way of life our future foods will be nutritionally worthless. 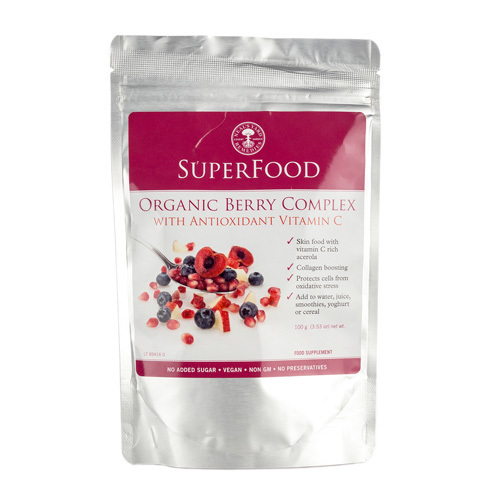 I have been using the Organic Berry Complex to continually saturate my body’s tissues throughout the day, particularly if I know I’m going to be busy with clients, driving long distances or late nights. Whiz up 2 scoops of the complex with some sprigs of mint and a blender jug full of water. Add a glug of Elderberry syrup to give a deeper taste and a richer content. It tastes amazing, so refreshing and the children love it too. Take a small glass of it regularly throughout the day to top up. The supplements created by Neal’s Yard Remedies Organic are superior in the way they work because they are synergistic blends of carefully selected and sourced vitamins and minerals. Vitamins and minerals work with each other to do their jobs efficiently – not in isolation.